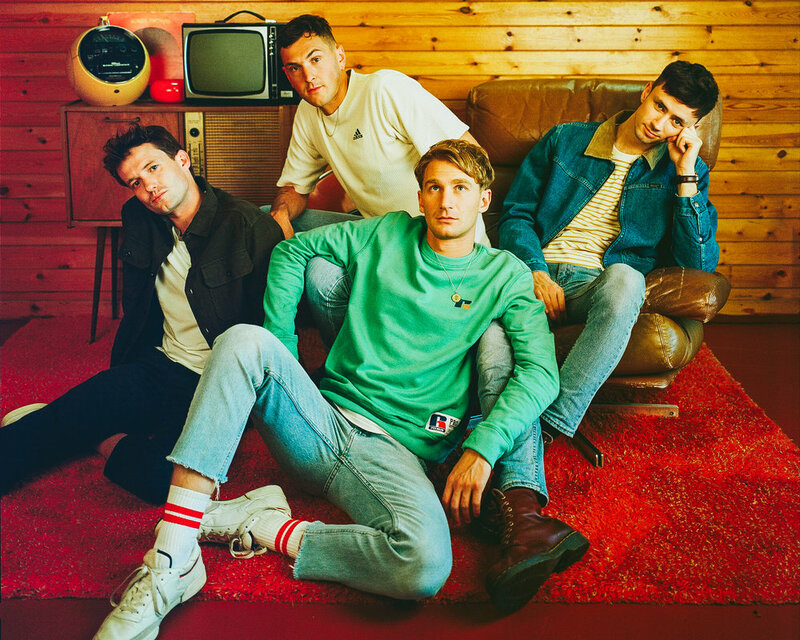 It’s less than 48 hours after frontman Dave Bayley has applied the finishing touches to Glass Animals’ second album and he’s contemplating where he and his bandmates found themselves only two years ago. “It’s mad, we were in our friend’s basement playing to four people,” he laughs. Fast forward to six months ago and they were rounding off a tour that catapulted Dave and bandmates Drew MacFarlane (guitar), Edmund Irwin-Singer (bass) and Joe Seward (Drums) around the world and back; climaxing in sold-out shows at The Wiltern in LA and Terminal 5 in New York, via huge festival slots in Australia, the US and - of course - Glastonbury. Indeed, given the successes, Glass Animals would be ripe for the cliched ‘difficult second album’ experience. Every tour has sold out, they’ve hit 200 million streams and debut album ‘Zaba’ shifted over 500,000 records. For a band on a label backed by legendary producer Paul Epworth no less - the pressure to up the ante had potential crippling side-effects. Dave doesn’t bat an eyelid when it comes to the mention of the sophomore slump phenomenon at all, though. He simply didn’t have time to get himself in a pickle. Instead, only six months after getting off the road he’s already plotting what the stage sets are going to look like, how the artwork will take shape, and so on. The new LP - titled ‘How To Be A Human Being’ - has come together so fast you’d assume they wrote it on the road. “No! We didn’t have time,” says Dave. “It happened as soon as we came off the tourbus.” Before his suitcase was even on the ground, Dave was setting up shop in their small studio space in Hornsey, North London by himself. Mapping out the skeletons of the songs proved to be an entirely different process from that taken on ‘Zaba’. “Last time, I started with beats and electronic soundscapes, and this time I started mainly with chords, vocal lines... sometimes even lyrics. I tried to invert the whole process,” he explains. The majority of the writing, sonics and production was taken care of in an intense 10-day period. Then in January, Dave began polish out the stories, lyrics, and music, perfecting the parts. e would send the bear bones of each song to the band. He would bring the demos to the band, and as a group they would develop the music further, experimenting with the arrangements and instrumentation. From the depths of ‘Agnes’ to the danceable humour of ‘Life Itself’, this second album is a zeitgeist-leaning, intrepid exploration into what makes us all tick, told from the viewpoint of four guys who have experienced life in its most extreme and unexpected form for the past two years. It doesn’t just connect with your feet - it connects with your brain, your heart, your soul. ‘How To Be A Human Being’ is a multi-layered, nuanced album that uniquely splices together 40 years of sonic history in a way that’s emphatically forward-sounding. In the characters and themes explored, the record creates a world for fans to inhabit. With every listen comes further insight, not just into Glass Animals’ universe but the human condition itself.